Schedule a meeting to learn more! WHY A PhD IN MEDICAL SCIENCES? 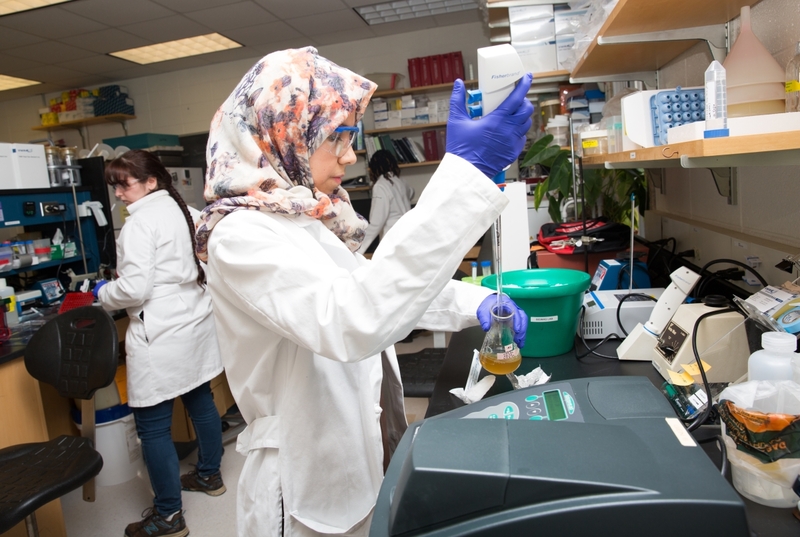 Our Ph.D. program in Medical Sciences provides advanced training with the goal of preparing students for research-based careers. 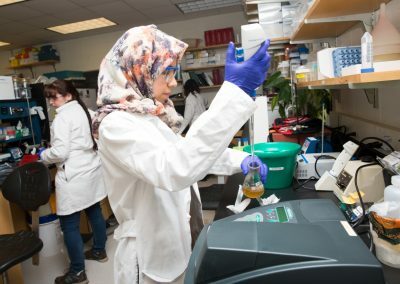 Areas of in-depth study are driven by faculty research and encompass clinically related fields such as diabetes mellitus, obesity, immunology and infectious disease, oncology and other chronic health conditions. BS, MS or equivalent degree from an accredited college of university. GRE scores of at least 148 on quantitative reasoning and at least 150 on verbal reasoning. An undergraduate GPA of 3.0 or higher. Current students have a GPA higher than 3.5. Written statement of goals and objectives (the personal statement) that clearly identifies the applicant’s research and curriculum interests and explains how admission to the program relates to his/her previous research experience. Current resume and three letters of recommendation. One or more years of laboratory research experience preferred. All students will be expected to be sufficiently conversant in English and knowledgeable in the written word to convey clear, logical and complex written expressions. 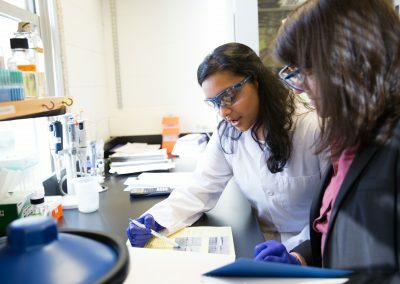 Research experience in molecular sciences preferred. TOEFL is required for international students. Admissions is selective and competitive, based on the number of available positions in the department laboratories and available faculty and facilities. See our admissions website for more details. The program is designed to be completed in 4 to 5 years. 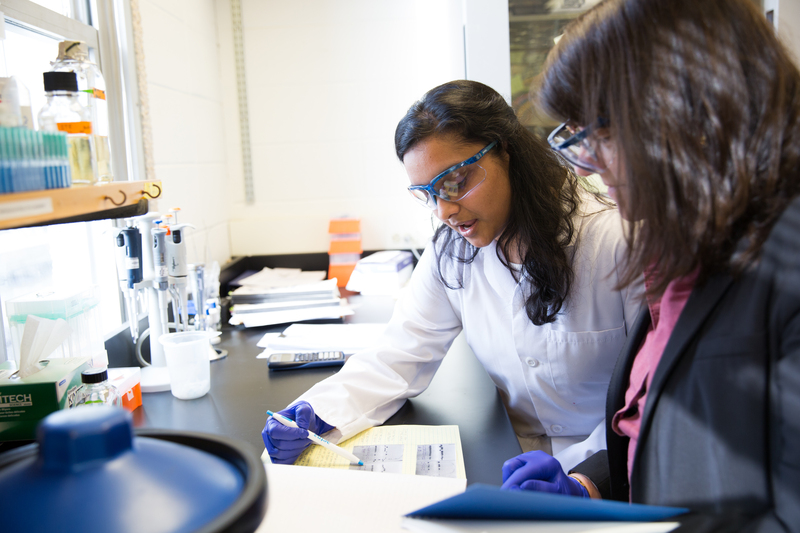 Students in good standing are provided with teaching and/or research assistantships, as well as tuition remission. Science Core Elective Courses (9 credits): (Examples are listed in Appendix A.) 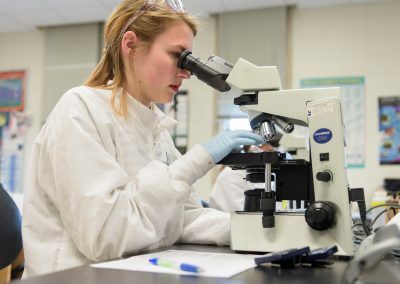 Students who have had substantially similar courses to one or more of those required prior to entering the Medical Sciences Program may substitute other appropriate courses with the approval of the advisor, the Program Committee and Program Director. Only those courses in the 600, 800, 900 levels will apply towards the doctoral degree. Independent study courses will be accepted based on approval of the advisor and the Department Chair. A maximum of 9 independent study credits may be included in the program of study. 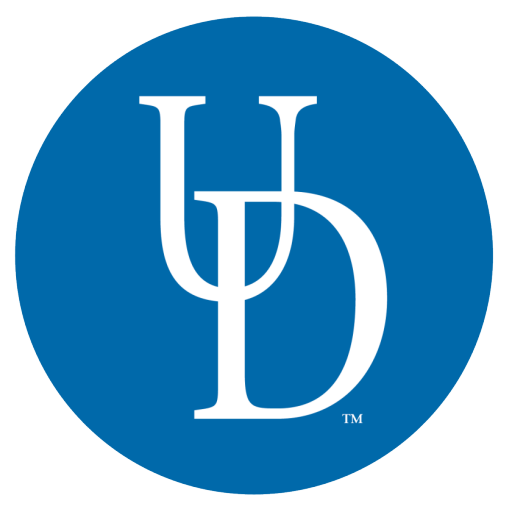 Students may use a maximum of nine (9) graduate credits earned prior to admission according to the university graduate school policy found at http://www.udel.edu/gradoffice/polproc/registration.html (“transfer credit” link). The courses must be less than 5 years old.